A note about these files: Some of these links for the manuals (especially for the larger files) are to an external storage repository (WordPress.com, actually) that behaves a bit strangely. It seems that the file download might take forever (like minutes or so) to start, but then starts downloading at a pretty good rate. I hope it works for you. I have tested it and it seems to work well for me…. 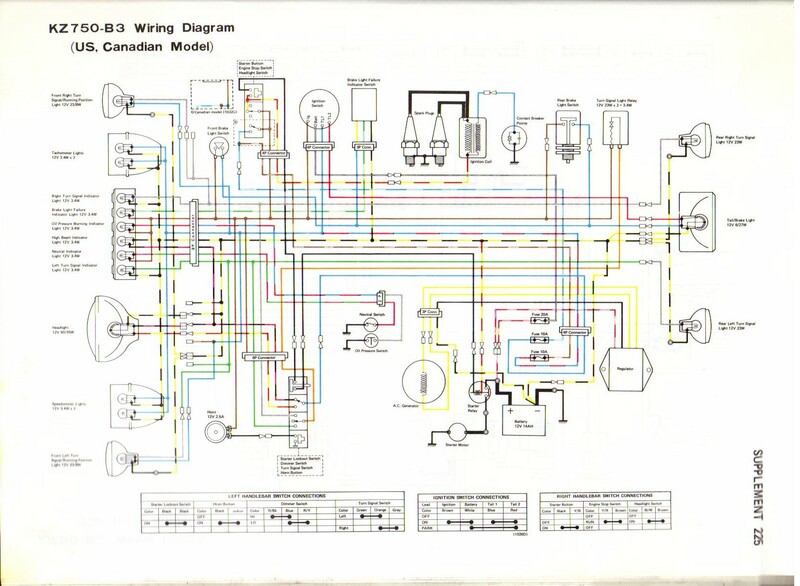 The complete “Kawasaki Service Manual” for the ’76-’79 KZ750 Twin (B1-B4), as ONE CONTIGUOUS scanned PDF file, thanks to EnHising of the THE KAWASAKI TWIN OWNERS FORUM: Link 1, Link 2. WARNING: This file is ~186MB, so don’t just click on it directly; make sure to right-click and choose “Save As…” or you will likely get an application error. The complete “Kawasaki Service Manual” for the ’79 KZ750 B4 Twin, **with supplements** for the ’80 G1 (a.k.a. LTD II) and the ’81 / ’82 M1 (a.k.a CSR), as ONE CONTIGUOUS scanned PDF file, thanks to George of the THE KAWASAKI TWIN OWNERS FORUM: Link 1, Link 2. WARNING: This file is ~195MB, so don’t just click on it directly; make sure to right-click and choose “Save As…” or you will likely get an application error. Here are pages 303-332 of the “Supplement 1983 KZ750-K1,S2,Y2”, split into INDIVIDUAL PAGES in JPG format, thanks to EnHising from the THE KAWASAKI TWIN OWNERS FORUM: Link 1. 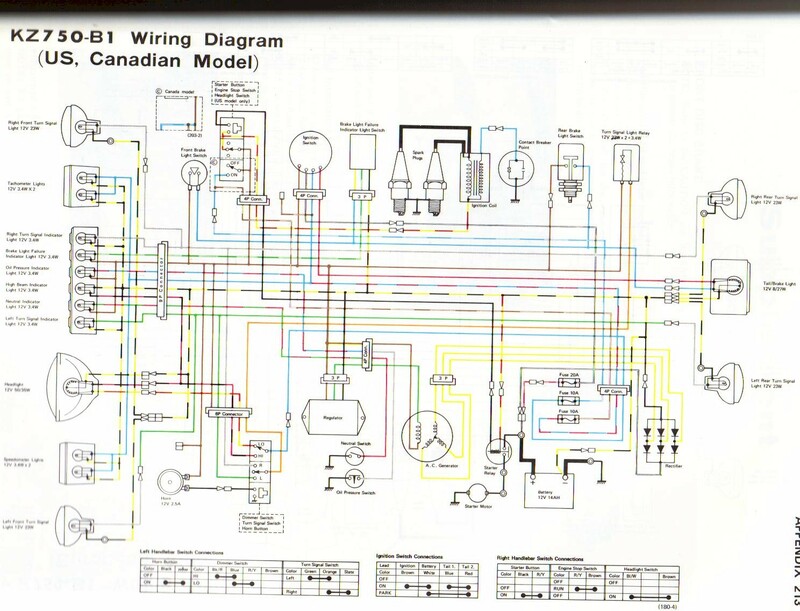 Here is the complete “Supplement 1983 KZ750-K1,S2,Y2”, as ONE CONTIGUOUS scanned PDF file, thanks to George of the THE KAWASAKI TWIN OWNERS FORUM: Link 1, Link 2. WARNING: This file is ~17MB. Thanks brother. Really appreciate your effort. I am having trouble finding a service manual for the KZ750 M1 or K1. The links I click on say searching, but then don’t actually download for that model. 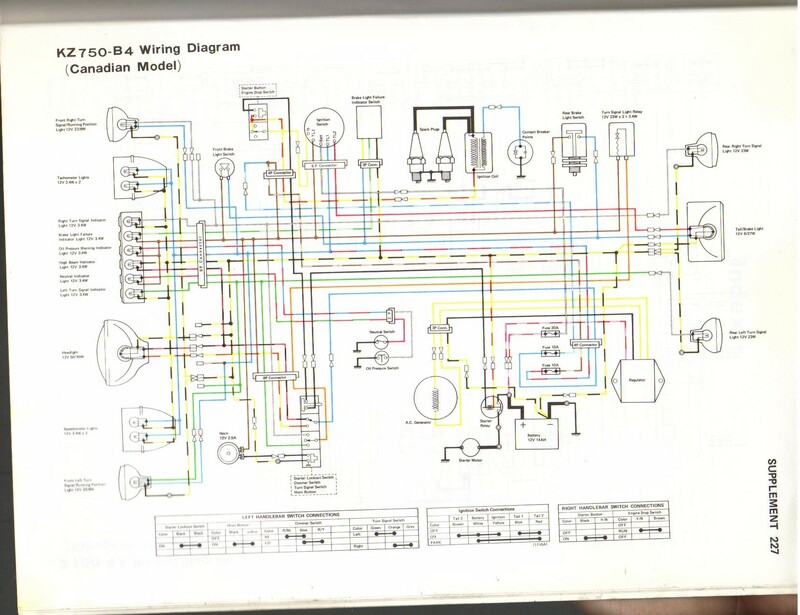 What about a manual for a 1988 305 LTD? You’re gonna be helping me out a lot thanks! This is to cool for school biquetoast. Thank you. Thought I would sling you a buck as well. Thanks for the kind words and the buck. It’s always neat to receive an appreciative dollar out of the blue! When you say “view online”… Do you mean like a web-based application that renders the pages for you in a browser? If so, I don’t know of anything like that. But you can download the manual from the link at the right, under “Reference” and “Manuals”… Once you download them, you can view them with a regular PDF viewer, like Adobe Reader or something else like it. Thank you so much for offering these manuals. I have been looking for 2 years for one for my kz750g1. Please forward your email address. I have a filter cross reference I want to share. Hey guys so I pulled a kz 750 B1 000336 out of a shed a couple weeks back and am working on the wires. 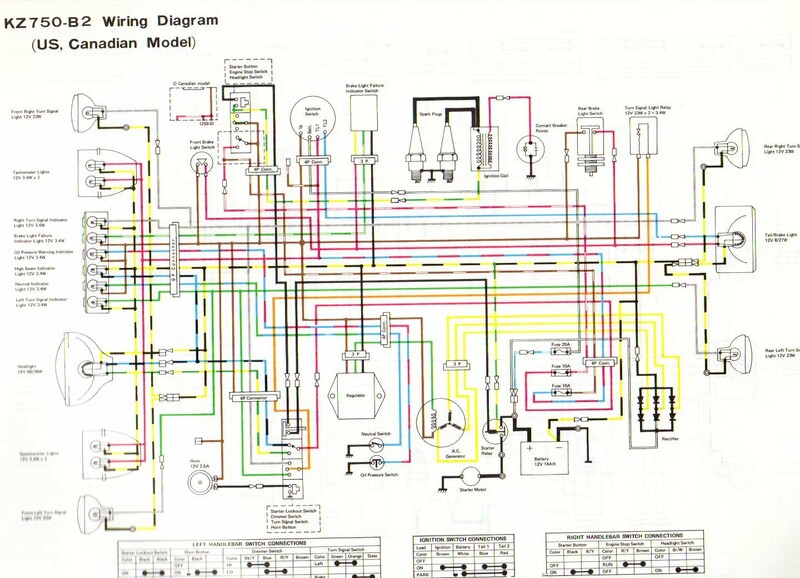 I was looking at that b1 wiring diagram posted at the bottom of this page and it just doesnt seem right. I could be an idiot because i am a noob so bear with me. Thanks guys! This site has helped me loads with other stuff which is much appreciated. Do you know if I could do a engine swap from a 1979 kz750 into a 1978 kz750 without any real hassle?I’m thinking the swap would be pretty straight forward without having to change any electrics or even chains or sprockets.Any input would be greatly appreciated! Yeah, that should be a pretty straightforward swap. The ’78 and ’79 we almost exactly the same except for paint, so you should be good. Hey everyone i have a 1983 Kawasaki KZ750-K1 LTD Belt. I wanted to know what battery do i need for my bike and is there a AGM battery that would fit? …and though they don’t have one, they mention that you need the “Standard Equivalent to YB14L-A2 YTX14AHL-BS”. I don’t know if that helps, but if you find something, let us know! I have a 82 kz750 and a 82 csr750 (both twin), and was wondering if i could swap pretty much any parts out from the kz to the csr. using one or the other for a parts bike, and maybe swapping the engines.. thanks for the manual btw! These 2 bikes are almost uncanny in similarity. The one big thing i did notice is that my first bike (750 k1) has a different seat than the others that you have pictures of in your “identify your bike” section… she’s kinda a rare bird, although I’m not going to keep it stock. I think this winter i’m going to rebuild the carbs on the CSR to get a bit more HP out of it… seeing how i can’t get up steep hills going 60+ and only get about 30 mpg. I have many more questions about these bikes and I hate to clutter up your service manuals page with non-service manual questions. Maybe a new page?